Well hello to you my reader chums! Today I'm going to tell you about one of my favourite products at the moment featured in my April favourites: Tanya Burr's lipgloss in 'picnic in the park.' At the beginning of April Tanya's range got launched into over 100 superdrug stores. On the day,Mel and I woke up bright and early and headed to our local superdrug. We walked around the store for about 20 minutes and couldn't find the collection so asked the lady who kindly brought it out for us giving us first pick! Both of us purchased 'picnic in the park' because we've wanted it for the longest time! The packaging the lipgloss comes in is just too cute! I love the glass tube as it gives a rather sophisticated look, with the heart on the lid and the italic writing making the lipgloss look cute at the same time. 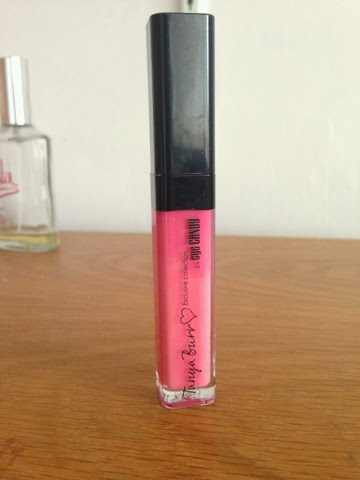 As its a transparent tube you're able to tell the colour of the lipgloss before purchasing which is always helpful! I think as the packaging is really adorable, it would look lovely on display on a shelf/dressing table where you keep your beauty products! 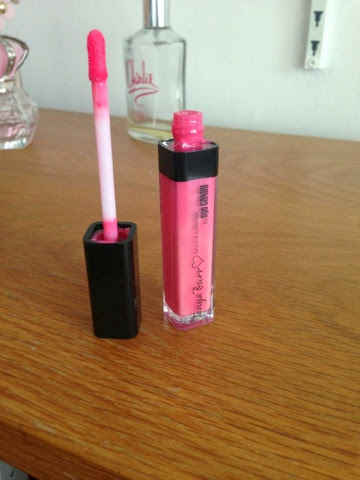 The applicator it comes with makes it really easily to apply the lipgloss. It's a flat doe foot applicator that when taken out gives you the right amount of lipgloss to wear. 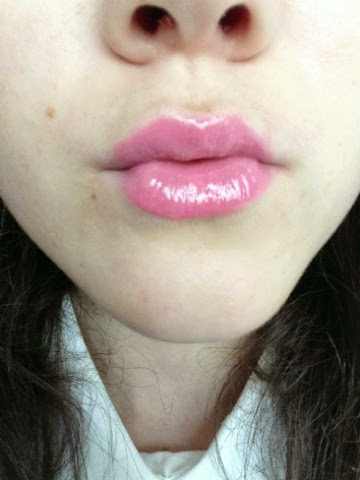 When applying you the lips it goes on smoothly and is the right size for the lips which I love! Can we please all take a moment to appreciate the smell of this lipgloss?! No joke it smells of strawberry laces, it's like applying sweets to your lips, I mean who doesn't love that?! The colour it gives when on is this beautiful medium pink colour with a lovely shine over the top. I adore this colour, it's perfect for the spring/summer time! 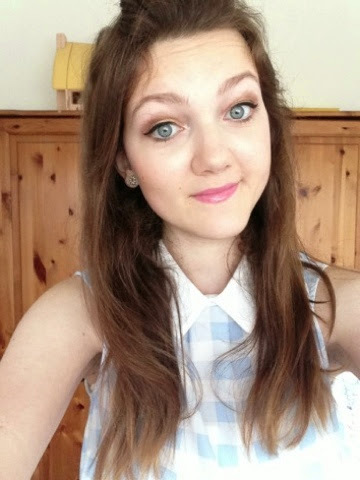 I love to wear it with a neutral eye and winged liner, it adds a pop of colour to the make up look. The lipgloss lasts a couple of hours in my opinion which is amazing considering when I wear lip products they just wipe off really easily. When the product dues come off it leaves the lips feeling really moisturised which is different to many other lipgloss's I've tried. 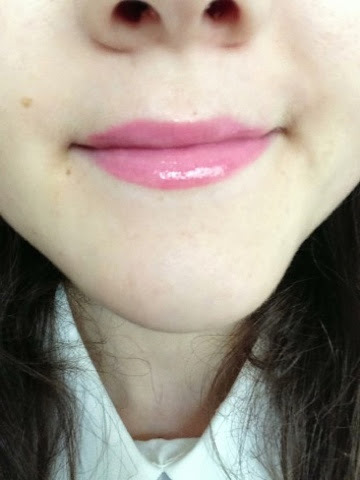 Yet I love that aspect because it means I wouldn't need to put on some lip balm before of afterwards as the lipgloss has these moisturising features. Here's some pictures of me with the lipgloss on. 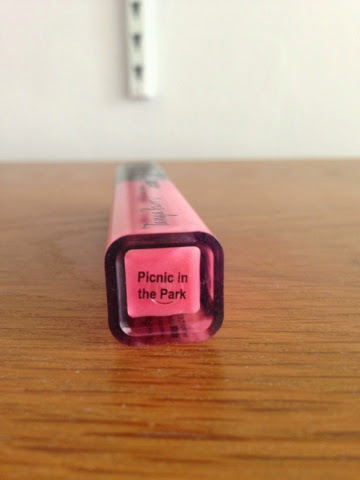 I'm really impressed by 'picnic in the park' and I honestly can't wait to purchase some more of Tanya's products. For the price of £6.99, they are at a high quality standard which I'd expect from more expensive brands. They're such a good value for money. I'm so proud of Tanya, she is such an inspiration! 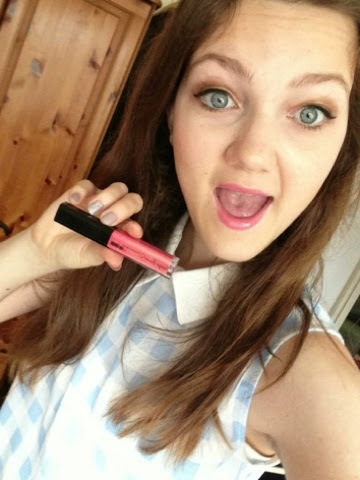 Really pretty colour, I love tanya burr! Her range is brilliant, especially the lip glosses. There's something for everyone isn't there? This one seems to be everyone's favourite and I can totally see why!!! I'm dying to try some of Tanya's line! Thank you for the review. I live in America so I don't have easy access to her products so I want to be sure I will like the product before purchasing online. It looks very beautiful on you. Thanks for sharing! Hey Della - thanks for the review! What's your favourite nail varnish colour of hers? ?